Sandown Wireless partners with SunWize to supply power for your remote sites. 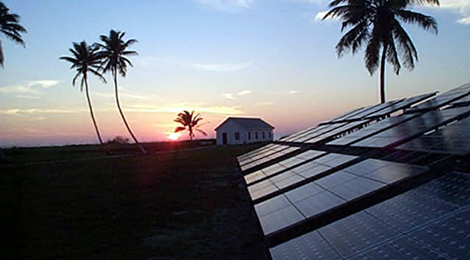 SunWize is the largest supplier of Solar Power Solutions in the Country. 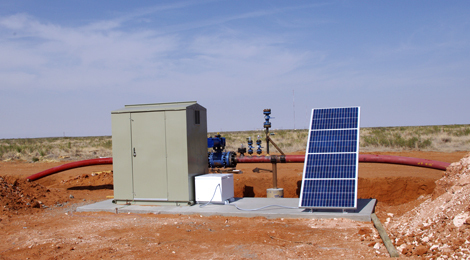 SunWize provides industry and government with cost-effective and dependable solar power solutions for outdoor equipment where utility power is unavailable or impractical. 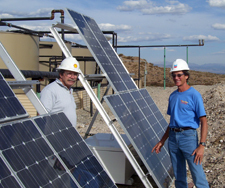 Our expertise includes off-grid solar electric (or photovoltaic) technology and solar hybrid systems which can include generators, fuel cells, or wind turbines as secondary energy sources. We also provide UPS systems for DC equipment connected to the utility to ensure no interruptions in operation. Our sales team assists you in determining which standard SunWize system is suitable for your project and which of the many options meet your specific power requirements. Our skilled team of engineers designs the most robust and economical solution possible for each customer. • All system designs are factory verified for performance, reliability and function. • Each system is factory assembled into major sub-assemblies to reduce field installation time and cost by minimizing onsite wiring and preparation. • Sub-assemblies are packaged to withstand rugged transportation to remote sites. • An installation, operation and maintenance manual is provided with every system. We Can Power Up Most Anything!